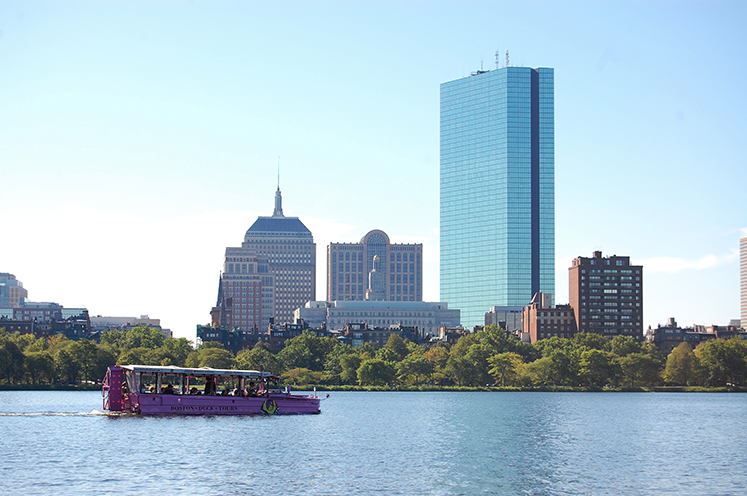 Soak in history on the streets of Boston and then plow into the Charles River with the charismatic crew of Boston Duck Tours, now departing daily from the New England Aquarium. Make a day of it! Visit the penguins and other animals at the Aquarium, then climb aboard one of the amphibious DUCKs that go from land to sea and back again. 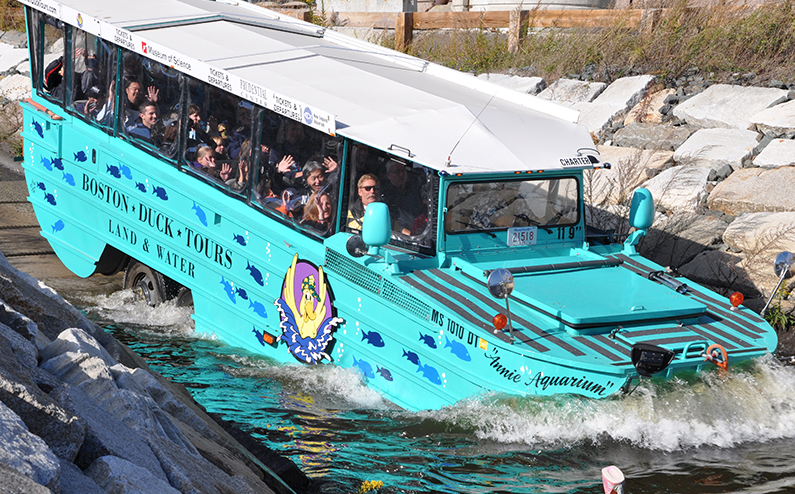 Aquarium members receive $2 off on DUCK Tour tickets (some restrictions apply). If you're not a member, combine your and save on Aquarium admission! Details here.